Phillip Securities does not participate in the Pre-open sessions. For Pre-close session, orders may still be submitted after 5:30pm (Singapore time) for matching/execution at the random closing time between 5:35 pm to 5:40 pm, which calculates the closing price of each day. * The Stock Exchange of Thailand will be shifting the settlement date from T+3 market days to T+2 market days with effect from 2 March 2018 (Fri). The last trade date for the three-day settlement cycle (T+3) will be on 28 February 2018 (Wed). A Circuit Breaker is a market-wide approach to manage downward movement of the barometer index by halting trading temporarily in the entire market during normal trading hours. It will be triggered when the SET Index declines by 10% and 20% below its closing index of the previous market day. A Non-Voting depository Receipt (“NVDR”), is a trading instrument issued by Thai NVDR Company Limited, a subsidiary wholly owned by the Stock Exchange of Thailand (SET). NVDRs are automatically regarded as a listed security by SET. 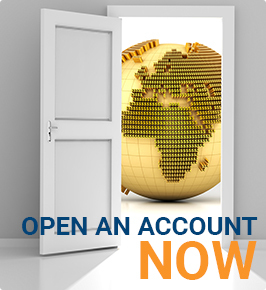 On the POEMS trading platform, you are able to trade either “Local” or “Foreign” tranches of a listed security. When you place an order on the “Local” tranch of a particular security, you are placing an order for an NVDR of that security. Therefore, investors will receive the same financial benefits and risks if they invested in the listed securities except that they will have no voting rights. Please click here for more info on NVDR.